One of my favorite things to do to stay on top of it all is to sort through all the shows and pick out subtle trends to keep my eye on. I break them down into categories of Color, Texture, Print and Shape and I decided this year I should share them with you! Red was huge on the runways this season, and grey certainly is the new black. 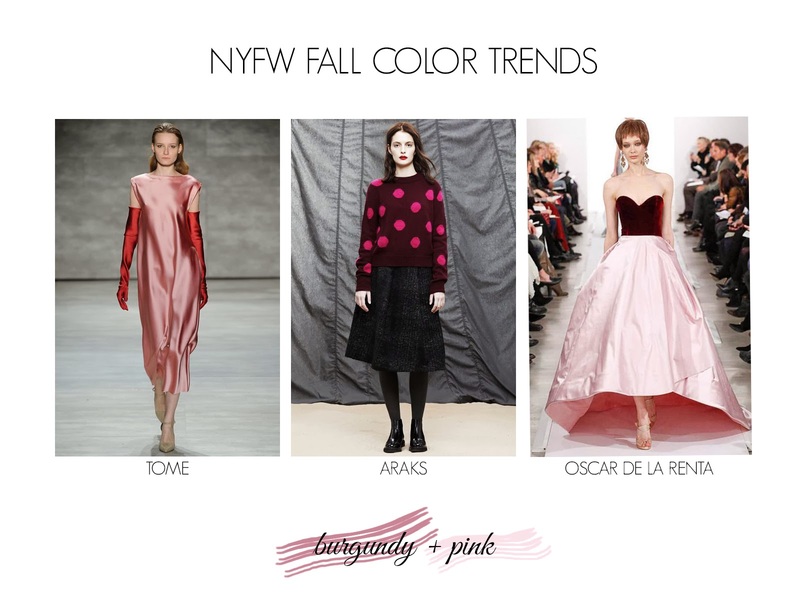 I picked up on two smaller trends that I am really crushing on at the moment: Monochromatic head to toe as well as Burgundy and Pink.